Old Keystone High hosts Police from all over the Country! 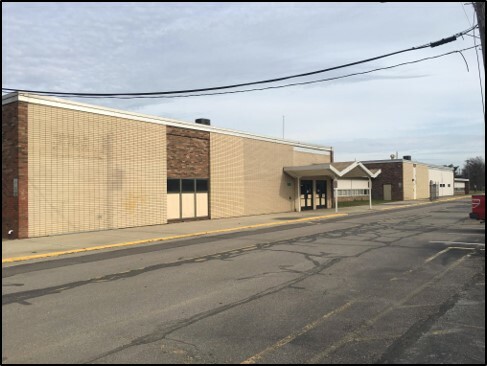 Published on May 16, 2018 | Updated 11:11 a. m.
LAGRANGE — Shots rang out in the back hallway of the old Keystone Middle School. “Entry made. All three units. Commands were yelled, instructing the man – later identified as the shooter – to get down and stay down. Among the injuries included head wounds, a gunshot to the neck and at least one person was dead. Those uninjured left the building surrounded by officers. Police officers, firefighters and rescue crew personnel then surveyed the scene. Some helped carry the injured out. Others stood by, securing the room where the injured were gathered. Nearly 20 minutes later, the same group of 24 police officers, 15 firefighter and rescue crew members and one dispatcher acted out another active-shooter scenario. Monday through Friday, the LaGrange Police Department, the Advanced Law Enforcement Rapid Response Training and the FBI are hosting an Active Attack Integrated Response course at the former Keystone elementary and middle schools, said LaGrange Police Chief Chad Duensing. “It’s become imperative to hold these types of training sessions for law enforcement officers and rescue personnel across the United States so they are prepared for active shooters in any situation — whether inside an office building, movie theater, school or church,” Duensing said. LaGrange Police Lt. Wayne Ramsey was instrumental in organizing the only course of its kind in Lorain County. The course brought first responders from across Ohio, as well as Georgia and Louisiana. The Advanced Law Enforcement Rapid Response Training Center at Texas State University was created in 2002 by a partnership between Texas State University, San Marcos Police Department and Hays County Sheriff’s Office, to address the need for active shooter response training for first responders, said ALERRT instructor CJ Williams. ALERRT was established after the 1999 Columbine High School shooting. In 1999, Dylan Klebold and Eric Harris killed 12 students and a teacher and wounded 24 people in Columbine, Colo., before turning the weapons on themselves. In 2012, the FBI partnered with ALERRT and adopted the ALERRT curriculum as the FBI’s standard for active shooter response training. FBI special agents now instruct ALERRT across the United States, helping prepare state and local officers while establishing local partnerships with law enforcement colleagues. To date, 130,000 first responders have been trained nationwide using dynamic active shooter, force-on-force scenario-based training, Williams said. Using more than $30 million in state and federal grant funding, after the one-week intense course, the attendees will be certified to bring the program to their own agencies, Williams said. “It’s important to integrate fire and police who respond to threats of an active shooter,” Williams said. The ultimate goals, Ramsey said, are to stop the killing and evacuate the building. The average response time is three minutes for first responders to arrive at a scene, Williams said. After witnessing a scenario Tuesday afternoon, LaGrange Mayor Kim Strauss said the program a useful tool not only for the Keystone Schools, should an active shooting ever arise, but to prepare all first responders for what can be a traumatizing event. Contact Melissa Linebrink at 440-329-7243 or mlinebrink@chroniclet.com. Follow her @MLinebrinkCT on Twitter.